Introduced or Native, Wild or Farmed? 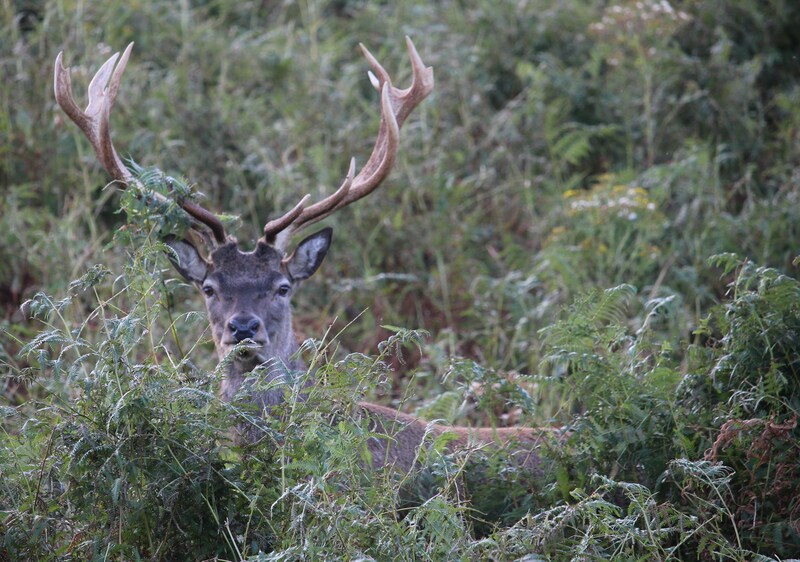 Isle of Wight Deer – Introduced or Native, Wild or Farmed? 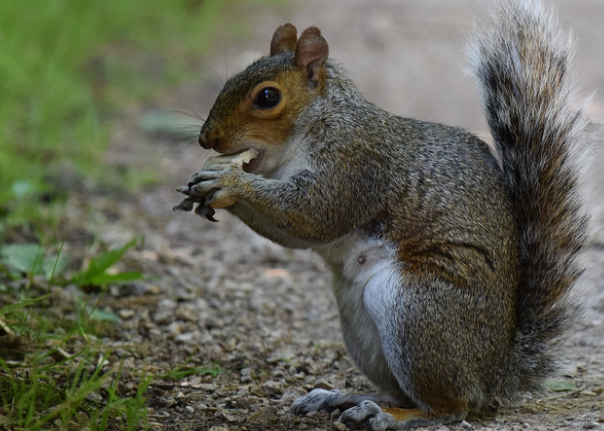 The Isle of Wight’s wild deer have variously been described as introduced and deer farm escapees, but is this really true? Historically both Red and Roe deer became established on what was to become the Isle of Wight sometime after the end of the last Ice Age. Whilst there is little evidence of any Roman introduction of Fallow deer to the island there is ample evidence of them following the Norman conquest with substantial numbers being present in Parkhurst Forest right up until its enclosure at the start of the 19th century. 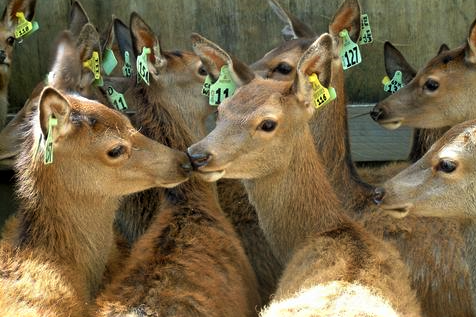 So where have the deer now found on the Isle of Wight come from? Up until the end of the 20th century there had been several commercial deer farms trading on the island and tourist enterprises that held captive deer populations. 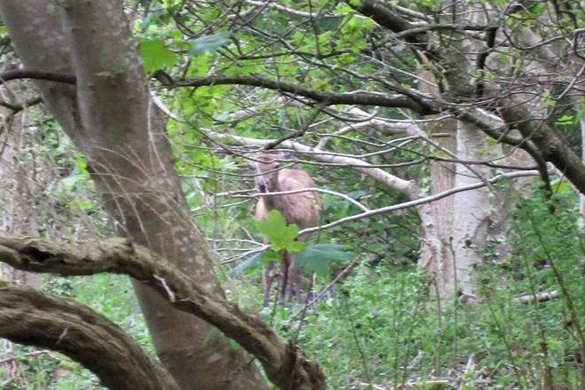 Today captive deer may be found in deer parks near Newport and Chale. Deer may have escaped from some of these establishments , if there are any remaining escapees that originated from an island deer farm left however, they would now be very old animals. Deer are very athletic creatures on land but what is less well known is that they are strong swimmers that will readily take to the water, especially if they have been disturbed. 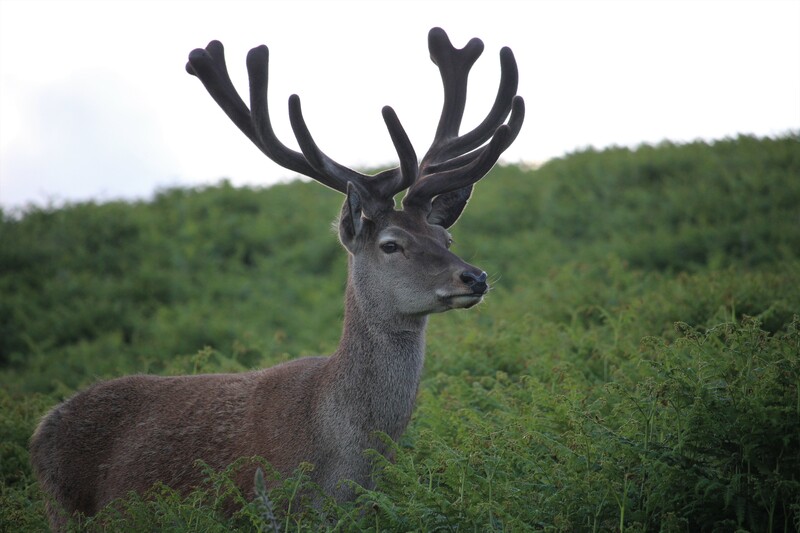 It is within the normal habits of males of the herding deer, Red and Sika stags and Fallow bucks, to travel great distances around the time of the rut in the autumn. With Roe deer the situation is slightly different as both sexes may travel significant distances to set up new territories, usually in the spring. 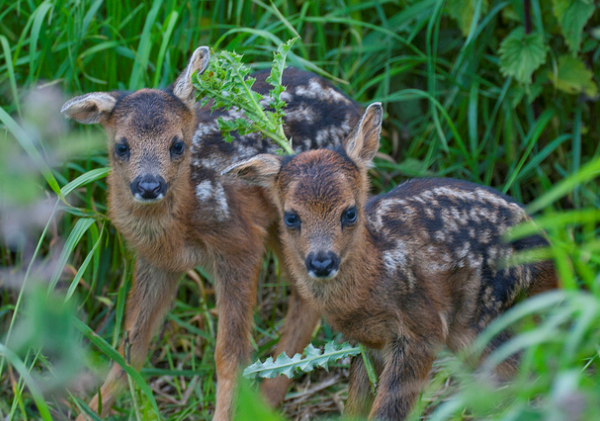 Whatever the origins of the parent stock it is clear from observation of deer with young that these animals are breeding in the wild, again a situation reflected on the mainland where expanding deer populations may be the descendants of both migrating and released deer. 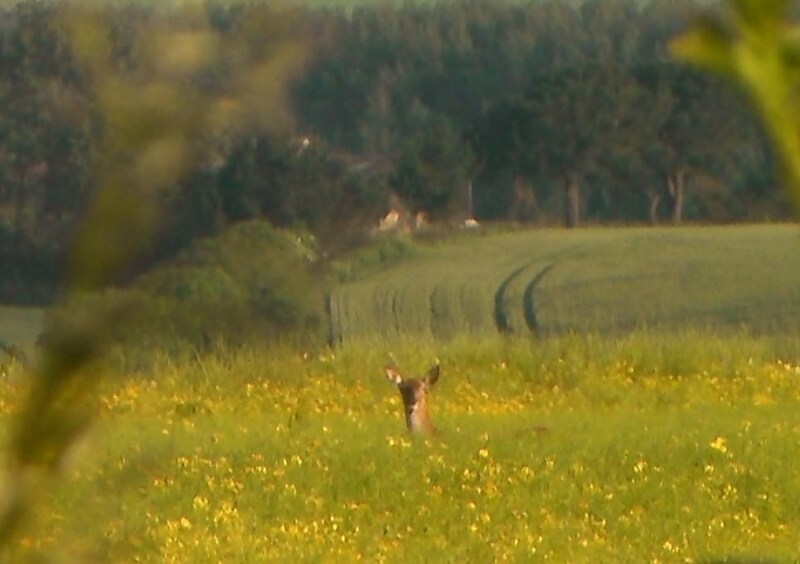 So how do you tell the difference between a wild deer and an escaped farmed deer and why is it so important to know? If a deer does not have a visible ear tag, collar or brand mark that shows that it belongs to someone and it is not held captive it is a wild deer. In fact the management of farmed deer has much in common with other forms of livestock farming and it must be tagged, it differs greatly from those kept in a deer park which are in effect managed as captive wild animals. Legally farmed deer are treated like any other domestic livestock, they always belong to the owner, even if the deer has escaped onto somebody else’s land. If you find such a deer on your property you are quite entitled to impound the animal and demand payment for any damage done by it from the owner. What you are not however entitled to do is kill it and keep the carcase, to do so would be a criminal offence. Wild deer on the other hand belong to nobody whilst they are still alive. The sporting rights holder of the land on which these deer are found has the right to take and kill these deer outside of the close season at which point the carcase becomes their property. This right may be delegated to another acting on their behalf, eg. a professional deer manager or a paying guest. 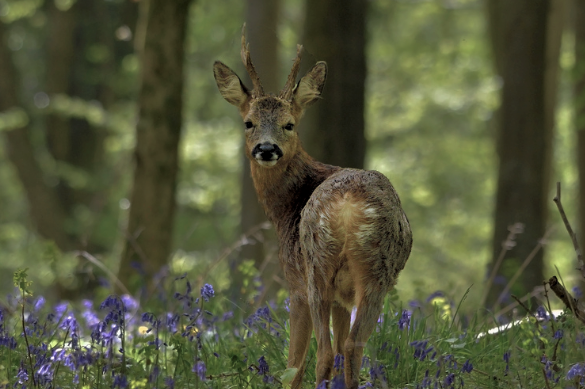 If you have seen some deer on the island please take part in the Isle of Wight Deer Survey locations will be treated with strictest confidence. 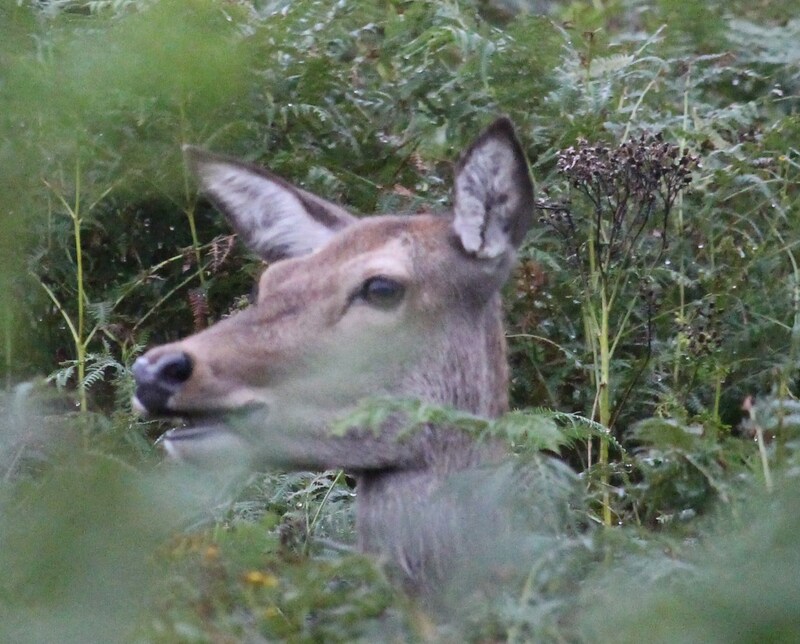 For periodic updates please visit Isle of Wight Deer Conservation or email deerwight@gmail.com, photos of deer on the Isle of Wight may be seen in the Isle of Wight Deer Album. There are deer on the Isle of Wight! 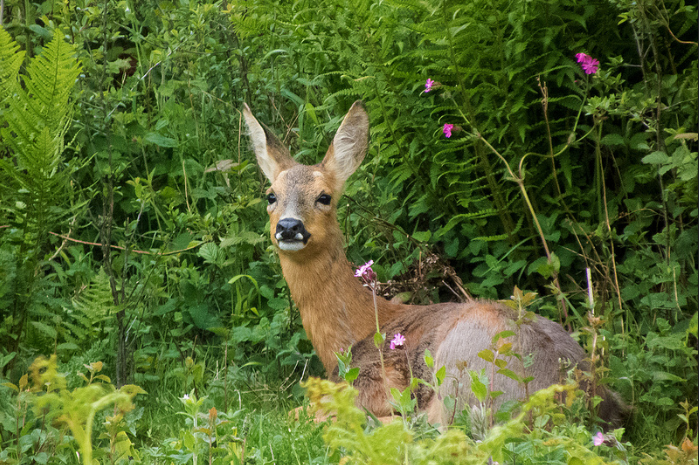 As a lifelong Isle of Wight resident I first encountered wild deer here around 20 years ago. 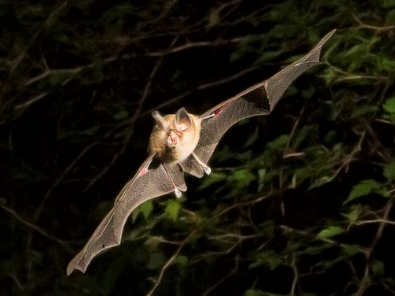 I sought to discover the local history of these fascinating creatures and their role in our woodland ecosystems. Deer have long been associated with the Isle of Wight, Red and Roe re-established their presence here after the last Ice Age and in the Neolithic they were to be found co-existing with Dormice and Red Squirrels in woodland in the Undercliff, whilst in the medieval period the nobility hunted deer in Parkhurst Forest and Borthwood Copse. 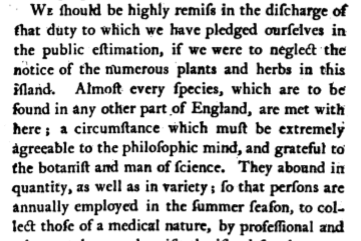 In common with much of southern England the fortunes of our deer declined during the 18th century leading to their eventual disappearance around the 1840’s. 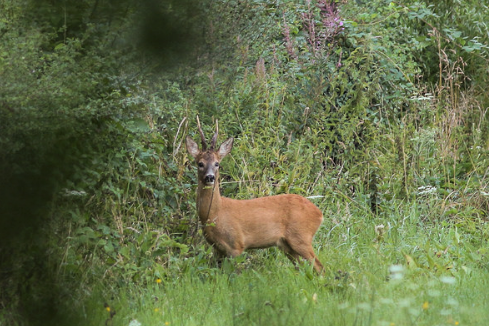 It is only within the past 60 years that deer have gradually started to re-establish on the island with evidence of Red, Roe, Fallow, Sika and Muntjac all being seen. This expansion of the deer population back onto the Isle of Wight appears to have varying origins. 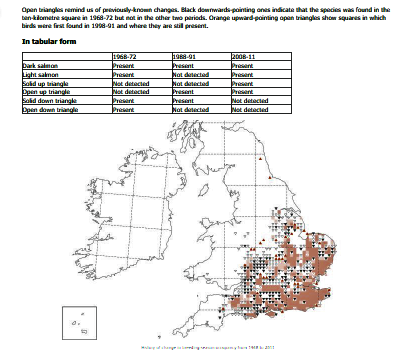 Red, Fallow and Muntjac have all been found in commercial deer farms, parks and tourist attractions here, all of which may have experienced their share of escapees. 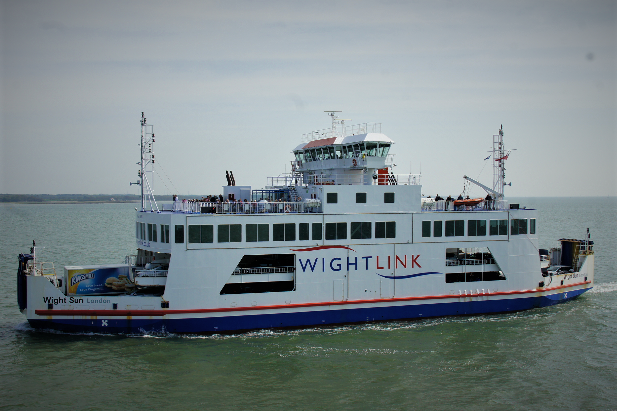 Roe and Sika however do not appear to have ever been kept in captivity on the Isle of Wight. But this is not the only source of deer on the island. 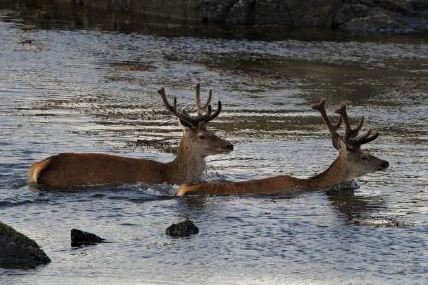 Deer are very athletic creatures on land but what is less well known is that they are strong swimmers that will readily take to the water, especially if they have been disturbed. It is within the normal habits of males of the herding deer, Red stags and Fallow bucks, to travel great distances around the time of the rut in the autumn. 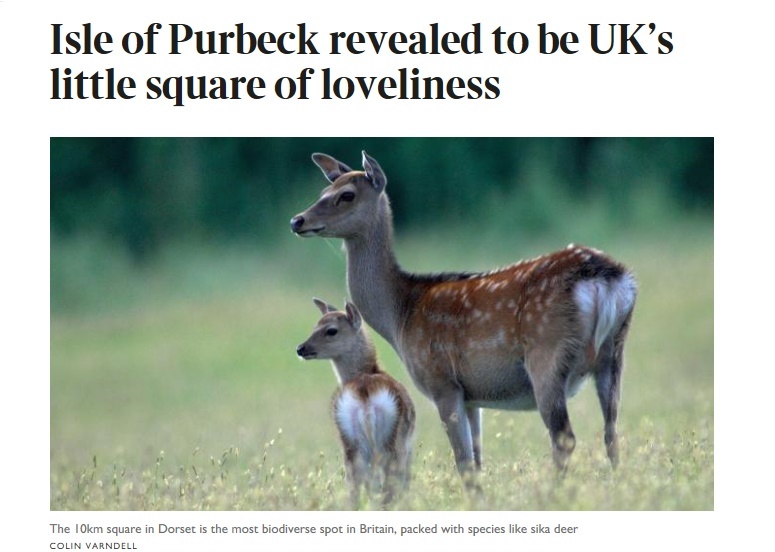 With Roe deer the situation is slightly different as both sexes may travel significant distances to set up new territories, usually in the spring. 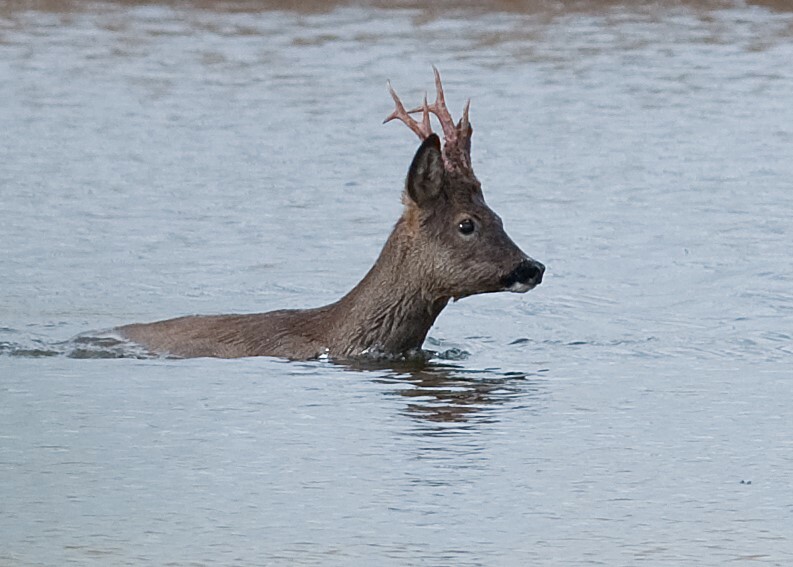 Even as long ago as the early 17thcentury Sir John Oglander remarked on the presence on his land of a stag that had swum across from the New Forest whilst being hunted and in the modern era deer have been observed swimming in the Solent and Southampton Water. 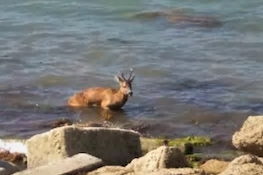 Whilst in 2018 a Roe buck chased into the sea by some dogs at Puckpool near Ryde unfortunately drowned during a botched rescue attempt at Southsea, around 4 miles away on the mainland. It is also evident that whatever their origin at least some of these deer are now breeding in the wild. In late May 2013 I had the pleasure of observing a mature hind accompanied by a yearling, I followed these animals over a few weeks and in early June I noticed a change in demeanour of the older animal, she started to behave aggressively towards the younger one and chased her off with her neck outstretched. 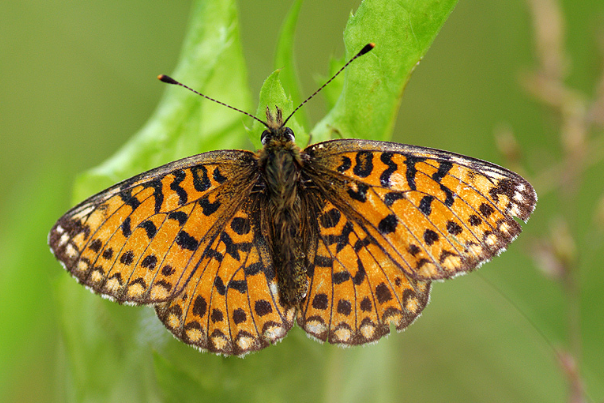 Close observation also revealed that she would then head for a particular area of long grasses and overhanging brambles. This is typical behaviour of a maternal hind with a new born calf. 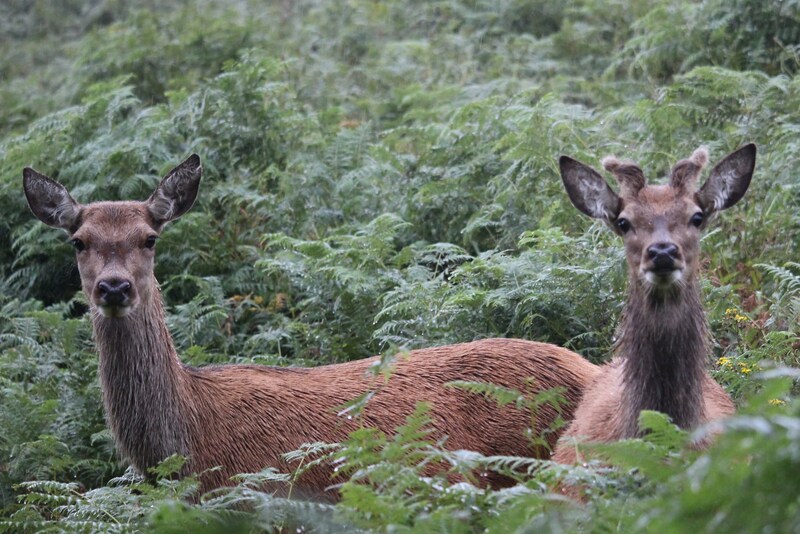 By discretely following these deer over the next few weeks I was able to see from some distance through binoculars that this was the typical Red deer maternal group of mature hind, yearling and calf. 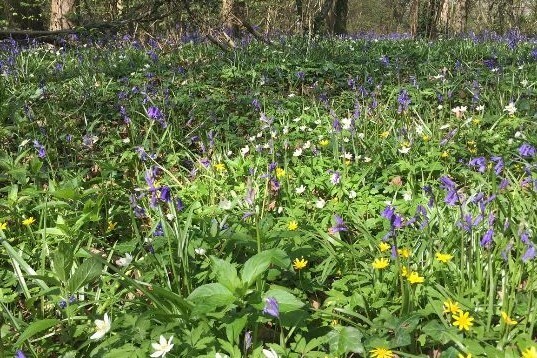 The Isle of Wight has long suffered from a lack of sufficient deer grazing, wood pasture habitats are threatened along with the Bats and Butterfies that use these areas as feeding grounds, the loss of Lichens due to overgrowths of Bramble has been noted in Parkhurst Forest. The Wood Calamint, the only native plant unique to the Isle of Wight has also been threatened by more vigorous vegetation. Browsing and grazing by deer are part of the essential natural processes by which these detrimental effects are prevented. If a responsible and positive attitude is shown by both private and public woodland managers alike, there is every reason to suppose that these deer will continue to play their part in enriching biodiversity on the Isle of Wight and prove to be an attraction for our tourist based economy.